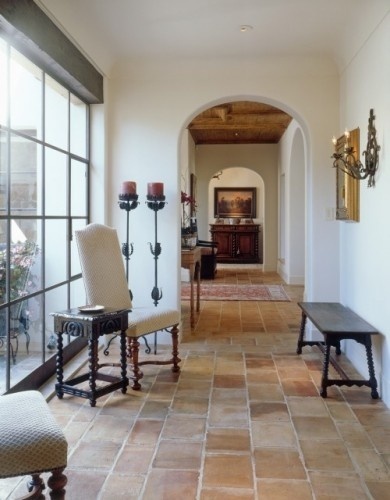 Since before we embarked on the remodel to end all remodels buying a Spanish Mediterranean Mission etc house, I’ve loved the idea of white walls. So clean, so fresh! At each of our previous homes, we’ve enjoyed color to the max having each room complement each other with a colorful palette. I knew immediately upon entering this house that white was the only solution to the myriad of textures, and variations of orangey yellow oppressing the eye at every turn. 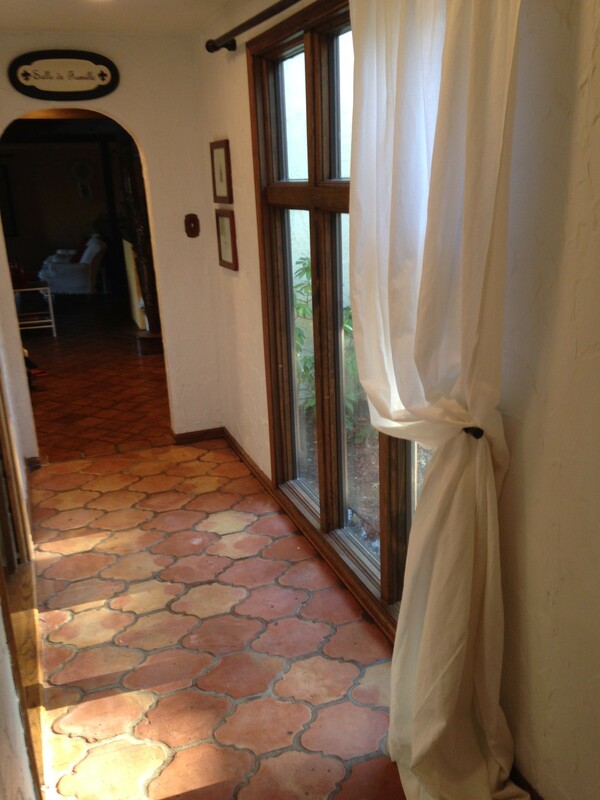 Here is the space that desperately needed the treatment: the front hall and entry foyer. These photos are as we saw the house when it was on the market. 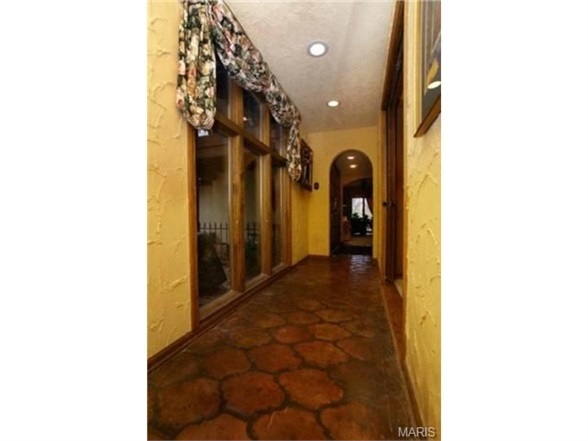 Beautiful saltillo tile floors covered in 20 coats of dark wax. 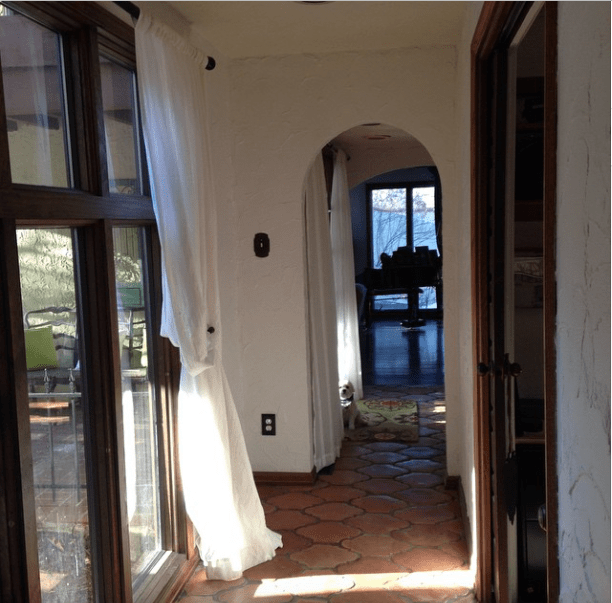 Heavy valances and weeping stucco wall treatment. Probably totally awesome when it was put up, but in desperate need of a makeover. The floors were stripped and sealed by Donley Building Services. Walls scraped and sanded by moi and painted by contractors! Walls are White Dove by Benjamin Moore mixed at Lowes in their Valspar Signature paint plus primer. I know, right? So good. The curtains are from the Restoration Hardware Outlet, the rods and finials are wooden Martha Stewart’s from Home Depot sprayed out in Oil Rubbed Bronze by Rustoleum.